Our main therapeutic methods are listed below. Please contact us if you require more information about any of our therapeutic services. For referrals please call the PAC-UK Advice Line or complete our online referral form. Theraplay® and Theraplay® informed Practice is an interactive form of therapy that typically involves one child and their parents/carers. 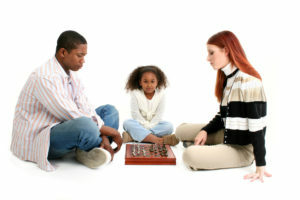 The emphasis is on playing together in a manner that enhances regulation, attachment, self-esteem, and joy in the family. 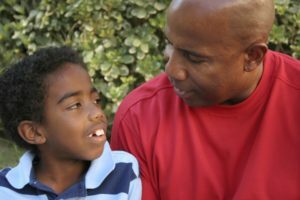 Theraplay® focuses on four qualities that are naturally present in healthy parent-child relationships: Structure, Engagement, Nurture, and Challenge. The therapist pro-actively guides the child and the parents/carers to engage in fun games, developmentally challenging activities, and nurturing activities. This leads to an active and genuine connection with each other. 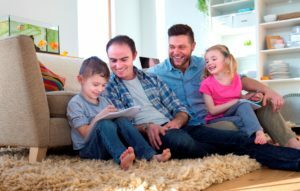 Regular sessions, as well as practice at home, result in the child's changed sense of self (I am worthy and lovable) and of relationships (relating to others can be positive and rewarding). ‘Creative therapies’ is a summary term for a group of therapeutic intervention methods that do not primarily rely on words, but use various non-verbal art forms, e.g. art, music, drama, writing, dance and movement. For any one family a particular creative art may be chosen, or a combination of art forms, to support the child in expressing, regulating, and processing feelings, as well as address attachment, trauma and adoptive and ethnic identity. The parents are expected to be present in the sessions so that they can get involved in communicating with their child/young person through the arts. Art therapy is a form of psychotherapy that specifically uses art media (paints, pens, crayons, clay, card, material, etc.) to express and process various types of psychological distress. 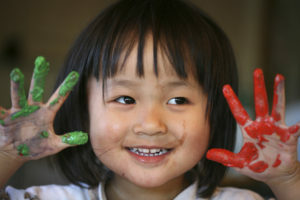 Art therapy is provided individually, in families and in groups, depending on need. It is not a recreational activity or an art lesson, although the sessions can be enjoyable. There is no need to have any previous experience or expertise in art. Art therapists have been inspired by psychoanalysis, as well as theories such as attachment-based psychotherapy and a broad range of client-centred approaches. Art therapy is especially helpful for children (and parents) who find verbal expression difficult. We have also used art therapy sessions as a way of building the therapeutic relationship prior to Therapeutic Life Story Work. Play therapy is a well-established discipline based on a number of psychological theories. Play therapy is a form of psychotherapy in which play is used as a means of helping children express or communicate their internal states, including feelings, beliefs, traumatic memories, attachment representations. The therapist creates a safe, confidential and caring space which allows the child to play with as few limits as possible but as many as necessary (for physical and emotional safety). The therapeutic play process allows healing to occur on many levels, following a natural inner trend towards health. When appropriate, the therapist may reflect their observations back to the child of what has happened during the session. Play therapy is a well-established discipline based on a number of psychological theories, including psychoanalysis (play and creativity often originate from outside our awareness, the unconscious). Some play therapists have developed a way to include parents in some or all the sessions. Individual Child and Adolescent Psychotherapy is a form of psychotherapy that seeks to look beneath the surface of problematic emotions, behaviours or relationships and to help children and adolescents, and their families, to understand themselves and their difficulties. 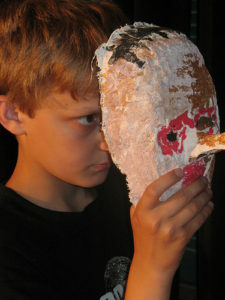 It is a psychoanalytic approach in which the therapist observes a child or young person and responds to what they might be communicating verbally, and non-verbally through behaviour and play. 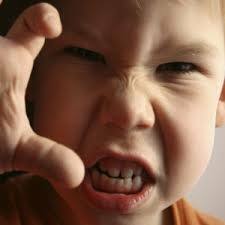 Child and Adolescent Psychotherapists may see children and young people individually or with other family members. They also apply their framework of thinking to work with parents and carers, and they support other professionals who work with children, young people and families encouraging a deeper understanding of the child's perspective. The process of sharing some of their most difficult memories and feelings can strengthen the attachment relationship between the child and their parent/carer. Therapeutic Life Story Work (TLSW) helps the child to make sense of their life story and to address the feelings and beliefs regarding the losses and traumas associated with the major life events in their short lives. This is unlike life story work that social workers undertake with a child, as this usually focuses on the key events that led to the child being received into care and adopted or looked after long-term. Another difference is that more recently, TLSW has developed into involving the child’s primary carer. This helps the child to experience that their primary attachment figure - together with the therapist or social worker - can hear, emotionally hold and validate their often painful and traumatic story. The process of sharing some of their most difficult memories and feelings can strengthen the attachment relationship between the child and their parent/carer. Prior to commencing TLSW, interventions that address self-regulation, emotional literacy and positive (e.g. via Theraplay® and Creative therapies) between child, parent and therapist are recommended. 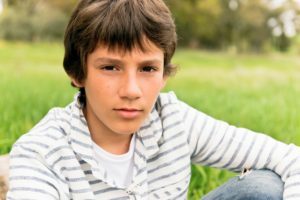 DDP (and interventions based on DDP) is a form of therapy that uses what is known about developmental trauma to help children and families with their relationships. The therapist focuses on facilitating healing communications between parents and child. The parents are supported to become sensitive and responsive to what underlies the presenting issues, by means of the therapist using an ‘affective-reflective (a-r)’ dialogue with the child, and then bringing the parents into the dialogue. The interactions during the therapy are verbal and non-verbal, and they are based upon PACE: the therapist takes a Playful, Accepting, Curious and Empathic stance. Both the child’s present and past are explored, including the difficult, the traumatic, the safe and the good. This process results in the child developing a new understanding of themselves as well as in healing of past trauma; it also increases their sense of safety within current relationships, and thus their attachment security. DDP has a parenting component that is known as Parenting with PACE. EMDR is a powerful and researched psychological treatment method for the treatment of the effects of trauma. EMDR is an acronym for 'Eye Movement Desensitisation and Reprocessing'. EMDR is a powerful and researched psychological treatment method for the treatment of the effects of trauma. EMDR is appropriate for adults, adolescents and children. In the therapy sessions traumas are carefully addressed whilst stimulating the brain in a left-right manner (for example by asking the client to move their eyes from left to right following the therapist’s hand, or by alternate buzzes in left and right hand via buzzers the client holds, or even by light taps on knees/hands). This bilateral stimulation affects the frozen or blocked information processing system, allowing the distressing memories to be ‘integrated’ rather than overwhelm the client with sudden and frightening event re-experiencing, flashbacks, dreams. The effects of this integration are that the distressing memories lose their intensity and become more like 'ordinary' memories. 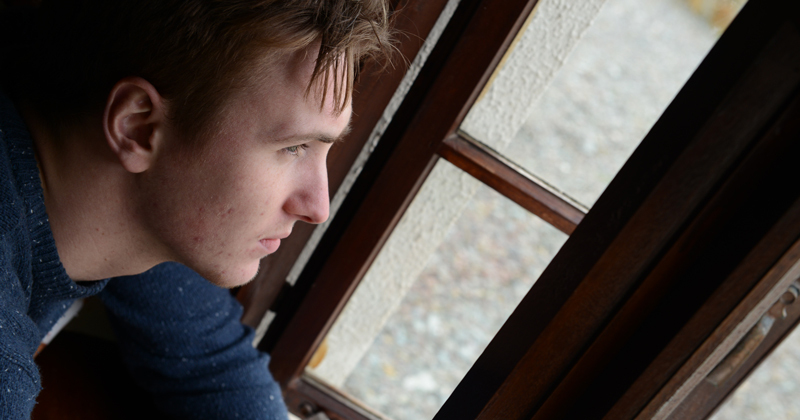 Cognitive Behaviour Therapy (CBT) is delivered to provide a brief, focussed intervention which can be targeted to address specific difficulties. CBT approaches problems or difficulties by separating them into thoughts, physical feelings, emotions, behaviours and actions. By working collaboratively, ways to manage these difficulties will be identified. Breaking problems such as negative thinking, unhelpful behaviours or overactive emotional responses down, can make them seem more manageable and can help to identify ways of changing. CBT is based in the here and now and is goal focussed and client led. This therapy is not a trauma focussed therapy but aims to improve the child’s daily functioning whilst encouraging autonomy. CBT is mostly a short term therapy to support children who may be experiencing some of the following: anxiety, depression, problems with peer relationships, bullying, self-esteem or confidence issues, school or exam concerns (please note this list is not exhaustive, other difficulties can be discussed to assess their suitability for this therapy). Due to the adverse early life experiences many adopted children have had, they may not respond to general parenting strategies if not significantly supplemented with therapeutic parenting strategies. These are a type of high structure/high nurture intentional parenting strategies that support feelings of safety and connectedness so that a traumatised child can begin to recover and attach. 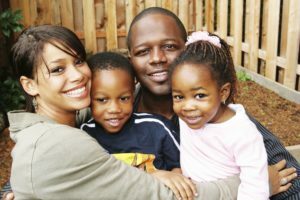 Therapeutic Parenting includes developmental re-parenting which means that the child is considered developmentally ‘younger’ than their chronological age and the parenting is adjusted accordingly; as the child was deprived of normal, age appropriate experiences, they still need to ‘catch up’ on these experiences. Adoptive and other carers will be supported to learn about therapeutic parenting strategies, to tailor them to their child’s needs, and to consistently implement and review them. Also visit our Child to Parent Violence Services page for more information our CPV services, which include CPV Awareness Raising Workshops and CPV Parent Groups. NVR is a systemic therapeutic approach involving extended family, friends and neighbours to help with the issue of 'child-on-parent violence' (CPV), as well as destructive and self-destructive behaviours. The NVR approach includes making an explicit commitment to the child as well as taking a firm stand against any acts of violence within the family. Skills that help to de-escalate incidents are taught and rehearsed. Recruiting and using ‘supporters’ (breaking the cycle of shame and silence), arranging possible ‘sit-ins’ and creating reconciliation gestures are also part of NVR. 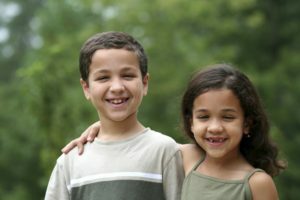 How to support siblings and ensuring good self care for the parent are addressed too. NVR can be delivered in groups for parents (approximately 8 sessions of 3 hours), individually to parents, individually to families and via our Peer Services over the phone or via Skype. Telephone sessions are often added to the group sessions, as are 6 monthly follow-up groups. Find out more about our Education Service and our Adopteens. PAC-UK usually offers a combination of therapeutic methods. It will match the needs of each individual family with one of our therapists’ skills. In our intervention proposals we often include some form of parenting support, as well as family sessions that will, at least initially, only involve one child and the parents/carers. Consultation/training and or therapeutic work in school may be added via our Education Service. In Leeds we have a young people’s service Adopteens which may be considered for young people age 11 upwards who live in the Yorkshire & Humber region. The presenting issues in any one family are often multi-facetted and therefore need more than one type of intervention. There are huge benefits for the family in PAC-UK offering a range of approaches and combining them as is best for the family. Should other agencies be involved with the family, PAC-UK will engage with the professional network around the family as we believe that collaboration between all parties is key to offering the children and families the best possible experience when accessing services. At the end of an agreed series of therapeutic sessions and at the very end of an intervention we typically have a meeting with parents and the commissioning agency (usually a local authority social worker) to discuss progress and evaluate whether and what type of further support is needed. As stated at the top of this page, please contact us if you require more information about any of our therapeutic services. For referrals please call the PAC-UK Advice Line or complete our online referral form.